IDF soldier detains Palestinian who is wanted for questioning by police, but before the cops could get there, a group of settlers arrive on the scene and attack him. A Palestinian man was attacked by masked Israeli youth at the Beit Hadassah checkpoint in Hebron on Saturday, as an IDF soldier helplessly tried to separate the man from his attackers. The Israelis beat him with their fists, kicked him, and one even attacked him with pepper spray. A Palestinian source speaking to Ynet recounted the chain of events that led to the assault. According to the source, two Palestinians were stopped for questioning by a soldier at the checkpoint. Several minutes later, he let one of them go and took the other with him back to the army post. That entire time, a group of young Israelis stood nearby. While the soldier and the Palestinian, 25-year-old Ayman Fahouri, who works as a tour guide and lives in the old city in Hebron, were standing at the army post, the young Israelis, some masked, approached them and started brutally beating Fahouri. Video obtained by Ynet shows the soldier helpless in his attempts to stop the attackers. Later, Fahouri is seen trying to escape to the road and one of the Israelis confronting him and spraying pepper spray in his face. At that point, Fahouri collapsed and the Israelis started running away, with the soldier chasing them. The Palestinian source claimed the Israelis escaped into Beit Hadassah and were not arrested. Army and police forces that arrived at the scene following the Palestinians' report of the attack reportedly told the Palestinians they did not intend to handle the incident until the end of Shabbat. Fahouri was taken to the Alia Government Hospital in Hebron. An initial investigation into the incident by the Hebron territorial brigade found that a Givati soldier identified two Palestinians around noon time and asked to check their IDs. The soldier discovered one of them was wanted for questioning by the police, so he detained the man until police could arrive. At this point, the Palestinian started lashing out and behaving violently, and then a group of masked Jewish men arrived at the scene, and started hitting him, despite the soldier's attempts to stop them. 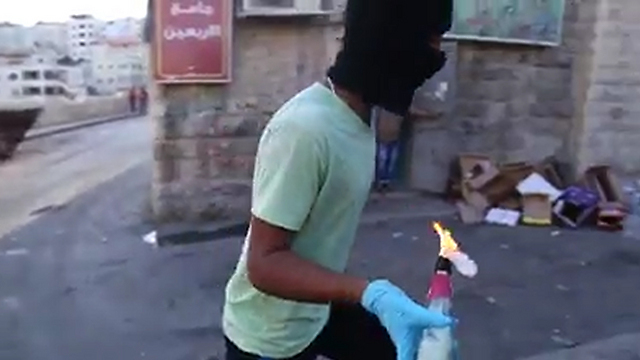 One of the masked men sprayed the Palestinian with pepper spray, which also hit the soldier. The masked men then fled, and police has been searching the area for them. That part of the street near Beit Hadassah is covered with IDF security cameras, which documented the incident and could help in the investigation. The specific spot where the incident occurred has been the center of other violent incidents due to the high friction between soldiers, settlers and Palestinians. One of the more famous incidents was when a Nahal soldier threatened Palestinian rioters with his weapon and swore at them in front of the cameras. IDF officials said in response: "In the noon hours, a Palestinian arrived at the Beit Hadassah checkpoint in Hebron. He was detained for a routine check by a soldier, and police was called to the scene. While he was detained, the Palestinian tried to start a riot, and settlers that arrived at the scene attacked him. The soldier tried to pull them apart, and then the settlers used pepper spray. The Palestinian escaped to a nearby house and from there was taken by the Red Crescent to receive medical treatment. The incident is being investigated by the Judea and Samaria Police and will be investigated by the IDF as well." Palestinian medical sources in the southern West Bank city of Hebron have reported that a young man was injured, on Saturday at dawn, after a number of Israeli fanatics assaulted him in Tal Romeida neighborhood. The sources said Jeddawi Hani Abu Haikal, 21 years of age, suffered various cuts and bruises, and that the assailants sprayed his face with pepper spray while attacking him. His wounds were described as moderate-but-stable. His family said the attackers came from nearby illegal colonialist outposts, established on privately owned Palestinian lands, in Hebron city. They added that Israeli soldiers were standing nearby, but did not attempt to remove the attackers. The wounded young man is a student of the Polytechnic University in Hebron. Israeli soldiers used excessive force against nonviolent protesters at the weekly protest against the Wall and settlements, in Nabi Saleh village near the central West Bank city of Ramallah, wounding many, and detaining five, including the lead news anchor of Palestine TV. Hundreds of right-wing Israelis and Israeli settlers performed Jewish prayers at the site of Joseph’s Tomb, east of Nablus, in the northern occupied West Bank, under armed protection at dawn on Thursday, according to Palestinian security sources. The security sources told Ma'an News Agency that about 400 Israelis arrived in eight buses at the site, heavily escorted by Israeli military vehicles. The visit led to clashes in the Area A neighborhood, which is supposed to be under full Palestinian control,according to the Oslo Accords. Young Palestinian men from the adjacent Balata refugee camp, tens of meters away, hurled stones at Israeli military vehicles. Israeli soldiers fired tear gas canisters and stun grenades at the young men to disperse them. No casualties have been reported, at the time of this report. Joseph's Tomb is revered by Jews, Muslims, Christians and Samaritans, and the Israeli military allows Jews to visit as part of organized pilgrimages, despite the shrine being located in an area under control by the Palestinian Authority. Palestinians generally hold that the tombis the funerary monument to Sheikh Yusef Dweikat, a local religious figure. Israeli Minister of Culture, Miri Regev, has said that the Israeli army should have shot the Palestinian women who saved Mohammad al-Tamimi from abuse by an Israeli soldier. The incident took place during the Nabi Saleh village’s weekly demonstration against the illegal confiscation of their land, according to a report in Midde East Monitor. Prime Minister Benjamin Netanyahu to change the army’s policy on the use of live-fire because of the “humiliation” the soldier endured. 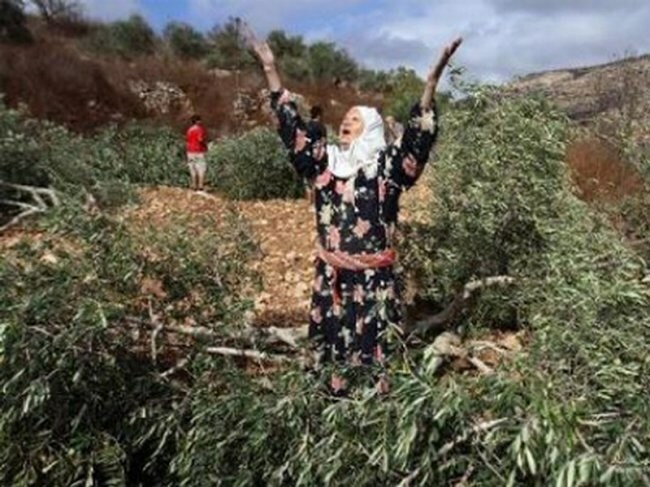 A horde of Jewish settlers on Wednesday bulldozed Palestinian cultivated plots of land and built dirt roads in Qaryut town, south of Nablus city. Anti-settlement activist Bashar al-Qaryuti stated that the settlers used heavy machinery to bulldoze cultivated lands south of Qaryut before they embarked on building and fencing agricultural routes. Qaryuti added that the seized area is part of a vast tract of Palestinian land amounting to 400 dunums, which is legally dealt with at Israeli court after settlers have already appropriated it and prevented its owners from reaching it. He stressed that the settlers violated an Israeli court order barring anyone from making any changes to this area until a verdict was issued regarding its rightful owners. He also said that groups of settlers from Eli settlement have been continuing for more than a week to bulldoze and reclaiming Palestinian-owned lands west of the town in order to use it for agricultural purposes. Hundreds of Israeli settlers stormed late yesterday Nablus city under heavy protection of Israeli forces who imposed a tight security cordon on the eastern neighborhoods of the city. The settlers arrived in several buses at Balata town, heavily escorted by Israeli military vehicles, in order to perform Jewish prayers at the site of Yossef Tomb east of the city. Their break-in lasted for several hours. Clashes broke out between Israeli forces and local youths who protested against the settlers’ provocative break-in into their town. During the clashes, Israeli soldiers fired tear gas canisters and stun grenades at the young men to disperse them, which resulted in dozens of breathing problems due to tear gas inhalation. 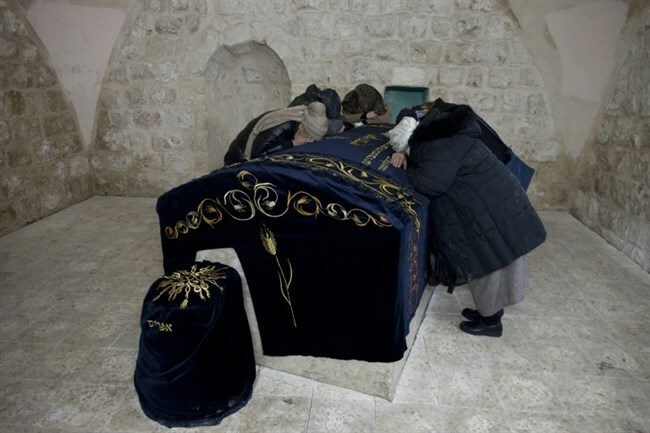 Israeli settlers routinely break into Youssef Tomb, believing that it belongs to the biblical patriarch, Joseph. However, archeologists said that the site is only a few centuries old, while Palestinians affirm that it contains the remains of a Muslim sheikh named Yossef Dweikat. Following the 1967 War, Israel confiscated the site and a small Jewish seminary was built there in the eighties of the past century. The site was also used as a military outpost. In al-Khalil, Israeli forces stormed at dawn today a Palestinian home to the south of the city after blowing up its door. Money and jewelry were confiscated during the raid. Several neighboring towns were also stormed amid heavy presence of Israeli soldiers. No arrests were reported. 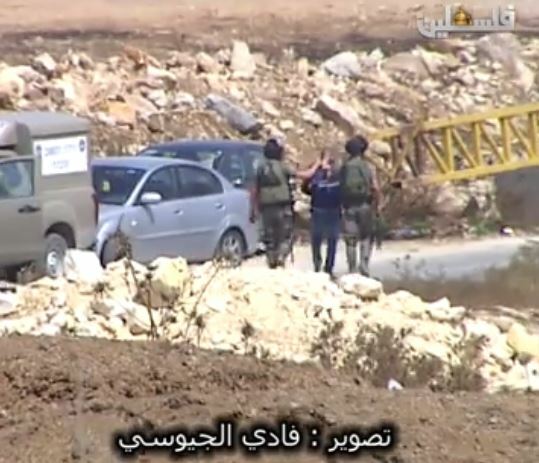 Along the same line, dozens of Palestinian vehicles were stopped and searched during the raids. In Jenin, similar raids were carried out in Yabad town at dawn today, while make-shift checkpoints were erected across the town. 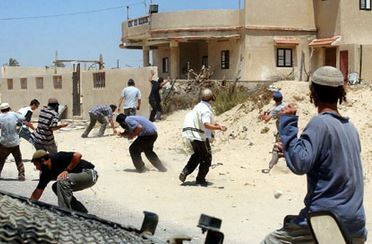 During the raid, Israeli soldiers threatened to evacuate a whole neighborhood in the town under the pretext of being located near an Israeli outpost. Israeli soldiers and dozens of illegal Israeli settlers invaded, Thursday, the Joseph Tomb area, east of the northern West Bank city of Nablus, leading to clashes with local youths; many residents suffered the effects of tear gas inhalation. Eyewitnesses said several Israeli buses, and military jeeps, invaded the eastern area of Nablus, heading toward the Joseph Tomb area, and clashed with dozens of local youths who hurled stones and empty bottles on them. Medical sources said scores of Palestinians suffered the effects of tear gas inhalation, and received treatment by local medics. In related news, Israeli soldiers interrogated a wounded Palestinian child, from the 'Aida refugee camp in the West Bank city of Bethlehem, while receiving treatment at the Hadassah Hospital in Jerusalem. The child, identified as Anan Fares Mallash, 15 years of age, was shot with a live round, on Wednesday evening. Dozens of young men from Silwan attempted to confront the settlers of Ateret Cohanim and prevent them from taking over and seizing the apartment of the late Jihad Sarhan in the “Middle Neighborhood” in Batn Al-Hawa. The young men were able to force the settlers who broke into the apartment using ropes to leave but the occupation forces provided the settlers with full protection enabling them to break into the apartment again and take it over. Sarhan’s family explained to Wadi Hilweh Information Center that a group of settlers living in the building of Jamal Sarhan (sold to Ateret Cohanim last week) raided the apartment of Jihad Sarhan using ropes. The settlers broke into the apartment through the windows of Jamal Sarhan’s building and dropped some furniture. The neighbors heard the noise only to find out that several settlers had already broken into the apartment. Sarhan’s family added that a group of settler had broken into their uncle’s apartment and were able to reach the area of “Al-Hosh” (courtyard) within minutes; settlers were forced to leave after clashes broke out between the two sides. The family added that large forces including Special Forces outburst the main door of the apartment which had been closed for a while and provided the settlers with full protection to seize the apartment under the pretext of having an order from the Israeli court; note that the apartment has been empty for the last three years. The Information Center added that violent clashes and altercations using hands broke out in the “Hosh” between the forces and settlers on one side and the young men who attempted to confront the take-over process on another. During the clashes, the forces severely beat the young men with the butts of their guns and batons, and fired tear-gas and sound grenades in addition to rubber bullets. Eight members of Sarhan family and one young man were injured with rubber bullets in the face, back and limbs. They also suffered several bruises due to being beat up with the butts of guns on their heads. After seizing and taking over the apartment, the forces raided the house of Ahmad Sarhan and precisely searched it. They arrested the 16-year old Maher Samer Sarhan and the 22-year old Samah Sarhan. 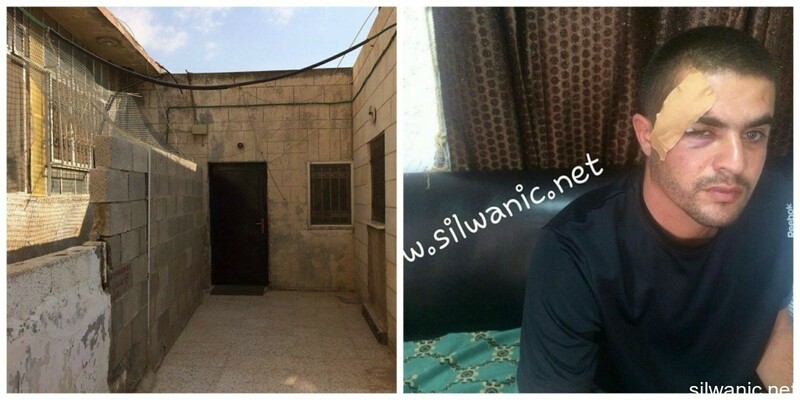 In the morning hours, the forces raided the house Mohammad Maher Sarhan and Ali Sarhan in provocative way. Clashes spread to the neighborhoods of Batn Al-Hawa and Bi’er Ayoub and Al-Ein Street where 13 young men were injured by rubber bullets and shrapnel of sound grenades. 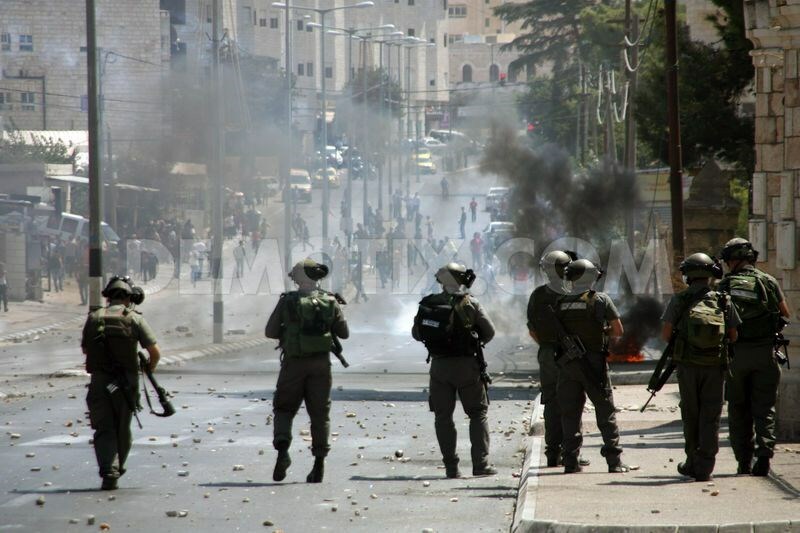 Also, dozens of locals suffocated during the clashes due to random firing of tear gas by the occupation forces. The center explained that the apartment is adjacent to the building of Jamal Sarhan that was sold to the settlers last Thursday and it is possible that the apartment of Jihad Sarhan was part of the deal done by Jamal. The number of settlement outposts in the Middle Neighborhood increased to 8 where all of them were sold by their owners. The first was taken over in 2005 (Bet Yonatan), the second is House of Honey and three buildings were seized last year (Qawasmi and Rajabi), three apartments owned by Abu Nab family were seized this year as well as Jamal Sarhan’s building and Jihad Sarhan’s apartment. The Israeli occupation police on Tuesday morning came down heavily on the peaceful Muslim female worshipers and sit-inners at al-Aqsa Mosque, denying them the right to their prayers within for the second week running. In the early morning hours, Israeli troops imposed a security cordon around the Mosque and prevented all Palestinian women, along with a number of male worshipers above the age of 25, from entering it. Meanwhile, non-violent Muslim worshipers protested in front of al-Silsila Gate, lifting banners and chanting slogans in protest at Israeli intents to divide the mosque between Muslims and Jews. The Muslim protesters further slammed the apathy maintained by the international community as regards Israeli attacks on the peaceful Muslim congregation. According to local sources, the Israeli police kidnapped three Palestinian youngsters and dragged them to nearby investigation centers. One of the arrestees was released a few hours later. 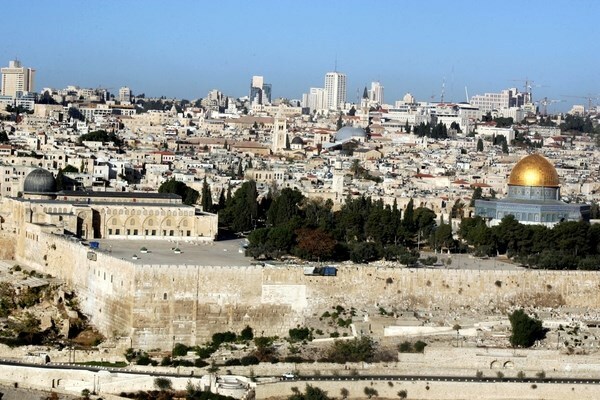 At least 63 settlers, escorted by armed officers, broke into the al-Aqsa Mosque earlier in the morning, Jerusalem’s Awqaf (Endowment) department reported. On Wednesday at dawn, Israeli soldiers invaded various Palestinian communities in different parts of the occupied West Bank, and kidnapped at least seven Palestinians. Israeli fanatics destroy the main power transformer near Qalqilia. Media sources in Jenin, in the northern part of the occupied West Bank have reported that several military vehicles invaded Kafr Dan village, west of Jenin, and kidnapped Ezzeddin Hafeth Zayyoud, 20 years of age, after storming and searching his home. Soldiers also kidnapped Mohammad Farouq ‘Aabed, 21, from his home in Sielet al-Harethiyya town, west of Jenin. In addition, soldiers invaded Beit Ummar town and the al-‘Arroub refugee camp, in the southern West Bank district of Hebron, searched and ransacked several homes, and kidnapped two teenagers, identified as Bashir Azraq Abu Abbash, 18, and Mahmoud Mohammad al-‘Adarba, 17 years of age. The Hebron office of the Palestinian Prisoners Society (PPS) said the soldiers assaulted Ahmad and his sister Dua’ al-‘Adarba, before kidnapping their brother, Mahmoud. Dozens of soldiers also invaded the students’ housing in the Polytechnic University, in Hebron, and searched it causing property damage. 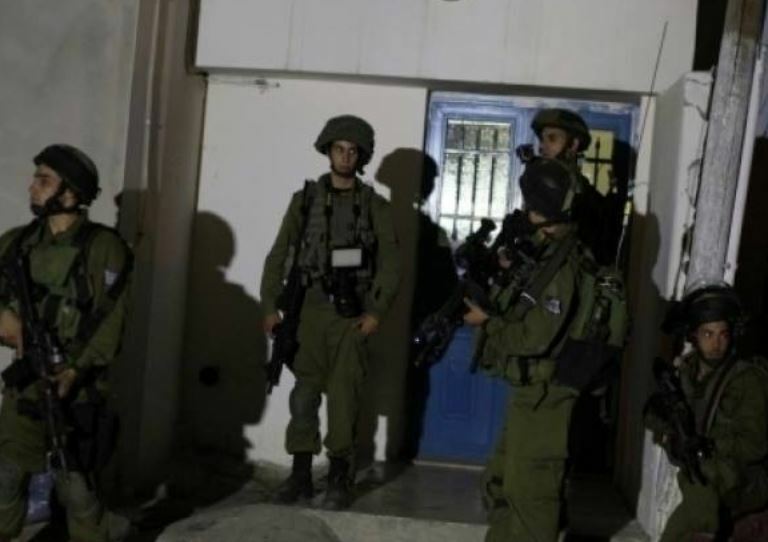 The PPS Ramallah office said the soldiers also invaded Silwad town, east of the city, searched and ransacked several homes, and kidnapped three Palestinians identified as Kayed Qaddoura Hammad, Ziad Abdul-Jalil and Mousa Najjar. It said Hammad is the father of detainee Tha’er, who is held by Israel after being sentenced to eleven life terms, and Abdul-Qader who is serving an eleven-year term. The army closed the Iron Gate of the roadblock, and prevented the Palestinians from crossing, causing a huge traffic jam. 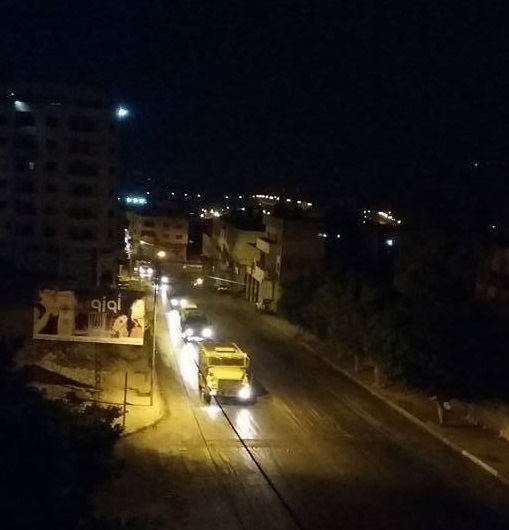 Furthermore, a number of Israeli fanatics sabotaged the main power transformer, providing Kufur Qaddoum village east of Qalqilia with electricity, causing a power blackout for several hours. Coordinator of the Popular Committee against the Wall and Settlements in Kufur Qaddoum, Morad Eshteiwy, said this is the second attack of its kind, adding that the Israeli fanatics repeatedly attack the town and its lands in retaliation to its ongoing nonviolent protests against the Wall and settlements, and the closure of its main road for the thirteenth consecutive year. Hamza Jom’a, the head of the Kufur Qaddoum Local Council, said the soldiers and security guards of Kedumim illegal colony obstructed the work of local technicians trying to repair the damage.